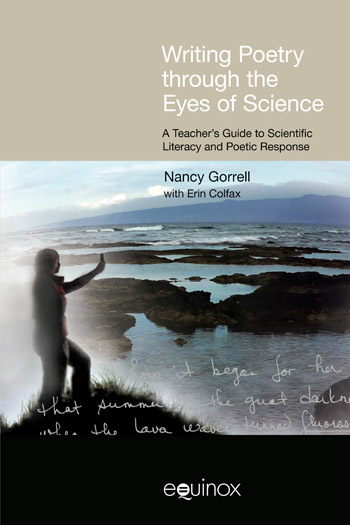 Writing Poetry Through the Eyes of Science: A Teacher’s Guide to Scientific Literacy and Poetic Response presents a unique and effective interdisciplinary approach to teaching science poems and science poetry writing in secondary English and science classrooms. A collaboration between two award-winning teachers, one in English, the other in science, this crossover work demonstrates how scientific literacy, knowledge, and methods can inform and inspire poetic response in the classroom and in the field. Writing Poetry Through the Eyes of Science illustrates how students can utilize field research, observations, sensory data gathering, poetic writing strategies, and model science poems by poets, scientists, students, and teachers to produce skillful and creative science poetry. The authors explore the commonalities shared by the domains of science and poetry as well as the potentials for intersections and interactions across those two domains. 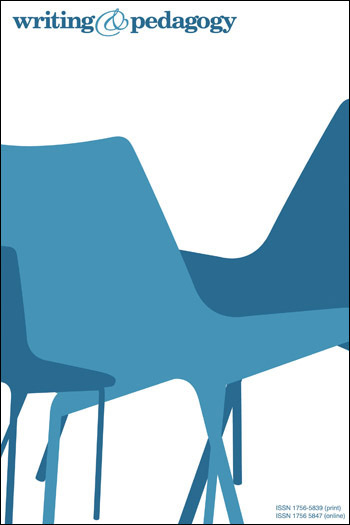 As the science teacher raises scientific questions and suggests technical vocabulary to further language specificity and precision, the poetry teacher demonstrates multiple poetic stances enabling imaginative poetic responses. The active, hands-on, collaborative nature of the classroom atmosphere motivates students to write inspired poems, and students who have never before written poetry can become excited, engaged, and productive. The descriptive techniques that are shared by science and poetry allow for creative, critical, and metaphoric thinking that are of value for teaching in both areas and that offer new ways of thinking and writing about the natural world. In addition, the use of poetry in the science classroom is a novel way to inform, engage, and enhance students’ understanding of abstract and complex scientific concepts, as shown in research carried out by co-author Erin Colfax at Morristown (New Jersey) High School, sponsored by Montana State University, on the use of poetry in the biology curriculum and for summative testing of science knowledge. Writing Poetry Through the Eyes of Science is built on original field data gathered by Colfax from expeditions to Iceland and other locations around the world as well as the original poetry and poetry teaching techniques of Gorrell. 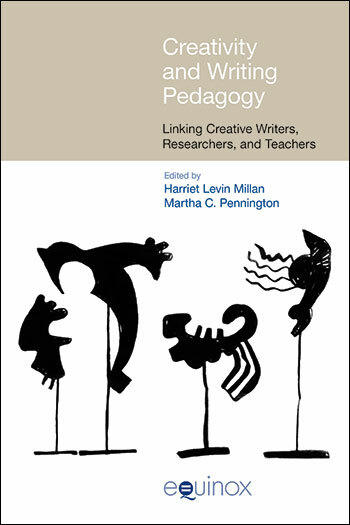 This professional resource shows both English and science teachers how to cross-fertilize the knowledge, skills, and methods shared by their disciplines—in particular, the creative, critical, and metaphoric thinking skills used in both poetry writing and scientific research. Writing Poetry through the Eyes of Science provides the tool—science poetry—enabling English and science teachers alike to discover the value of their common ground, empowering them to envision, create, and experience an innovative pedagogy for the 21st century. The aim of foundation Lesson one is to prepare students to enter the universe of science poetry. And that’s the aim of foundation Lesson two – to make students more aware, more attuned, and more inspired seekers and finders of poetry in general, and science poetry in particular. The aim of foundation Lesson Three is to prepare students to enter the universe of science poetry. The aim of Foundation Lesson Four is to introduce students to the “tsunami” of possibility that is the universe of science poetry writing. The aim of Chapter 5 is to offer for science and English teachers alike practical strategies for teaching one of the most challenging skills – the art of poetry writing in general, and the art of science poetry writing in particular. The aim of fundamental Lesson one is to introduce students, step by step, to the basic skills of science poetry writing, thereby preparing them for the more advanced science poetry writing to follow. The aim of Fundamental Lesson Two is to introduce students to the basic skills of science poetry writing through engagement with the life sciences, thereby preparing them for the more advanced science poetry to follow. The aim of Fundamental Lesson Three is to introduce students to in-the-field sensory data gathering as a stimulus for science poetry writing. In Fusion Lesson one students explore what it is to wonder by saying in their science poems what they have seen and, having said it, “seeing” still farther. In this chapter, students confront controversial issues, wrestling in their poems with the nature and role of science and their own ethical, moral, and religious beliefs. Chapter 11 consists of an introductory overview and description of the science poetry writing expedition followed by parts one, Two, and Three, descriptions of the instruction, activities, experiences, and student and teacher writing responses occurring on three consecutive days: day #1, day #2, and day #3 of the expedition, respectively. In the spirit of forging common ground, Chapter 12 guides science and English teachers in responding to student science poems in progress. When a terrific teacher of poetry intersects with the great and grand subject of science, a practical and intriguing book is born. Writing Poetry through the Eyes of Science is usable, interesting, and filled with specific and helpful suggestions for the teacher who wishes to meld poetic response and scientific literacy. The book is an innovative attempt at fusing interdisciplinary learning between English and science, especially between English poetic literacy and science literacy. It is also an attempt at fusing academic knowledge and practical pedagogy. The book draws substantially on the existing literature of science poetry and the author’s personal experience of science, poetry and science poetry. It also provides practical pedagogical suggestions including the learning materials used for teachers who are interested. All in all, the book is an innovation into an area of teaching and learning that is much called for in terms of interdisciplinary learning.